It's been couple of months after the release of final version of Microsoft Office 2016. And maybe you're tired of finding for a working activator for this version. Today I'm gonna share Office 2016 activator with you - no more waiting!! 100% Neat & Clean - No virus! Activating Capacity . . .
Hopefully this version will work for both 32 bit & 64 bit versions of Windows. 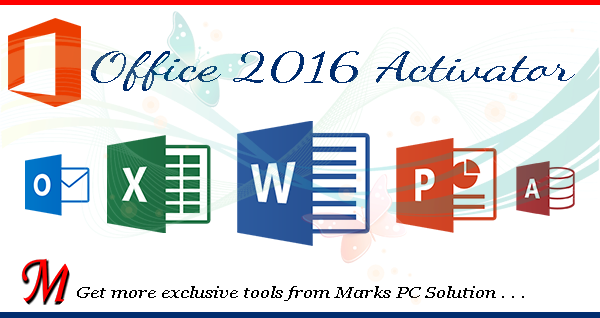 Collect/ Download Office 2016 Professional Plus from Microsoft or somewhere else. Install it as trial version without any key. Use the following activator . . .
Download > Install > Enjoy . . .
Get the file from Link 1 or Link 2. The first link includes a .zip file and the second one includes .iso file. You can choose any of them. Double click on the file KMSPico 10.1.5 to install the activator. Then find either KMSPico/ AutoPico from your Start Window and click on it. AutoPico will activate your Office in a single click. But if you run KMSPico then you've to hit on the red button. Go to the File Menu. If your product is activated, you will see the message - Product Activated. Note: After activating your product, you can uninstall this KMS! Share this activator with your friends if it works . . . I downloaded windows 8.1 iso file when I try to install I on my windows 7 computer its asking 25 charachter key. Not able to install it and please tell me when to use kms in order to crack it also please tell some valid keys. There should be a way to skip the key. Find it plz. it can not work on my laptop.. Describe the problem. It should work ..
how do i find office 16? I must say yours is simple and Best. This thing works like a charm. Thanks a lot mate! It worked perfectly with just one click it took less than 3 seconds, amazing. I have tried many kms activator all failed. I just activated Office 2016 and it works 100%. Same for me.. 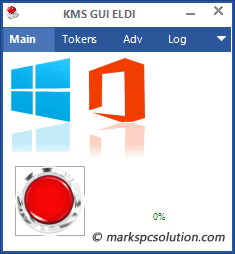 I installed office 2016 and then KMSpico, but when I run it, there's only the red button, with no icons of office. And nothing happens if I click on it.. Please help! Take care everyone!! My computer reports that Download.exe is not commonly downloaded and could be dangerous. Download the file from Link 3. Keep your security software turned off while installing it. You will face no problem. U r a lifesaver !! It works well on my laptop!! Thanks so much!! Link 1 and Link 2 gives download.rar and there is no file in Link 3. Please Help. U have to unzip the zip file. Check it now . . . Doesn't say my subscription is activated. It says Subscription product. Is this good to go? I downloaded office 360 and install it again. Tried the steps above; still would not show product activated. Please help. Oh it should be MS Office 365. Is there an activator for office 365? If I get, I will upload it. :( do you have a link where to download office 2016? Hi I have seen your cover photo in Google+ and it should be: There are no mistakes in the world of technology. Everything can be learned. Thus, I do applaud you for exerting time and effort as well as sharing your knowledge. Best regards for your blog and the people behind these stuffs. GREAT WORK .KEEP IT UP.YOUR WEBSITE IS VERY USEFUL .AFTER A LONG TIME I FIND THE EXACT OFFICE 2013 PRO PLUS ACTIVATOR.OTHER WEBS ARE MAKING FOOL . Splendid work! It worked perfectly, thank you very very much! Отличный активатор! Активировал за секунду нестандартную сборку офиса. Огромное спасибо! Please uninstall all 64-bit Office programs, then retry installing 32-bit Office. If you want to install 64-bit Office instead, please run the 64-bit setup. What should I do if this is happen? simply uninstall the components of office 2013 from your pc. then reinstall it. Please give a link where to download office 2016. I can only see office 365 but I can't activate it using the steps above. This is great, it actually worked, I scanned it with Bitdefender it did not show anything malicious. Windows 10 64 bit. You are awesome. Thank you so much.love you bro. Thank you very much Abdur. It it works like a charm. I rate it 5/5. Now I don't have to worry about my MS Office not being activated and license. I'll also recommend this office activator to my friends. Worked a treat on Office Professional 2016 although Link 2 above takes you to a dodgy website saying Java is out of date, with an upgrade button - avoid that one! Worked perfectly for me from Link 2. Before finding the working link i installed the Download.exe and now i have the pc full of malware... Anyone knows how to get rid of them? If you want, you can manually remove it, but it is really difficult. What I do is I download a bunch of known good adware cleaners like 360 Total Security and get a free trial of Malware-bytes Premium. Hello! I have tried this program and it seems to work for windows 10 but not on on my windows xp. I can't get the office 2016 to be activated in windows xp. Thanks! thanks to u. i just got office activated after a very long search to get it done. I got it to activate, so thank you! But (first world problem warning) is there a way for me to get rig of the "Let's get Started" pop-up? please help me, why is that i can't run the app in my laptop. hoping for your response. Should anti-virus be turned off? Sorry buddy. This version is not for Office 365 . . .
Will it work on 2016 Pro?!?! So what's wrong? Didn't it activate your Office 16? my office 2016 project was not activated along with the rest of the office suit. Pls how can i activate it? Actually we are not sure about Office 2016 Project. This KMS can only guarantee for Office . . . Does anyone have a clue as to why this happens? Which version of Windows you're using? What's your version of Windows? It works well thanks. Actually u dont need to press the red button. Just install kmspico then open it. then open ur ms office 2016. Then u will see it active permenantly. FYI: 2 link isn't working. link 2 is on google drive and it is telling that this link is infected by a virus and do not download. should i download it? No problem. It's not harmful at all you can download it. Have you tried both links? Avoid the warning of Google Chrome. The link is 100% safe. Thank you so much man..Keep up the good work.. 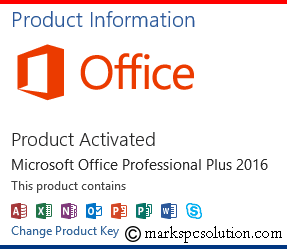 Activated office pro plus 2016 right now.. IT GAVE ME AN ERROR AT FIRST, BUT WHEN I CHECKED WINDOWS 8.1 got activated and OFFICE 2016 also got activated. PLEASE LET ME KNOW WHAT NEEDS TO BE DONE to keep it activated like disabling auto updates or else? Keeping windows update on or off is ur choice. Your windows will remain activated either ways. Try now . . .
office 2016.mp3 file doesn't change the file format. it is still mp3 file. Sorry for the disgusting ads. I couldn't find better sites to host these tools. So try again to download with patience. Thanks a lot dude for your help. It worked perfectly for me. Thanks to you I'm now able to use Office 2016 without paying a dime to those Microsoft mother fuckers. It worked! I tried a few ativators before I found this but they all came full of virus and stuff and didn't do anything for Office.. But this one was simple, clean and easy! Thank you! Do u provide patches for linux softwares too ? its not working whenever i double click the red button it keeps on saying "
Simply rename it. Select Office 16.mp3 then press F2, delete mp3 and type zip. Make sure your filename extension is on. Does this work on Win 10 build 14393? Send me the screenshot. Wanna understand how does it block the file. How to Identify a Font Name from Image? Shake your Phone to Capture Screen!!! Highway Rider APK Free Download!!! Temple Run Oz Free Download!! !